It’s no secret that car companies are wary of trusting Apple and Google to bring third-party apps into their cars. Inrix, the auto industry’s dominant supplier of real-time traffic and weather data, sees that as a big opportunity. Kirkland, Wash.-based Inrix, formed in 2004 by former Microsoft Corp. employees, announced today that it has acquired OpenCar, a five-year-old Seattle startup that has built a software platform to vie with Apple’s CarPlay and Google’s Android Auto. Inrix plans to start offering OpenCar’s software to customers within 60 days, Inrix CEO Bryan Mistele said in an interview. He said the platform will make it easier for automakers to offer the apps that customers use on smartphones, while still allowing them to control the design and feel of the digital interfaces in their cars. Since the emergence of smartphone apps in the late 2000s, some automakers have built software kits that allow third-party developers to tailor their apps for in-car use. These software kits have generally struggled, because in the fragmented auto industry no brand has a large enough customer base to be attractive to developers. Some car companies, including General Motors and Honda, have responded by embracing CarPlay and Android Auto, but others have been more hesitant, especially as Apple and Google have stepped up their automotive ambitions. In response to that request, Inrix searched for a company to acquire. It settled on OpenCar, which had a production-ready software platform and a team based a few miles down the road from Inrix’s headquarters in suburban Seattle. OpenCar’s software was not yet in production, but it had been fine-tuned through a partnership with Japan’s Mazda Motor Corp.
Inrix will try selling the software to its existing customer base, which includes luxury brands Audi, Tesla and Volvo and mass-market brands Ford, Toyota, and Volkswagen. Even Audi, an early adopter of CarPlay and Android Auto, seemed bullish on Inrix’s acquisition. 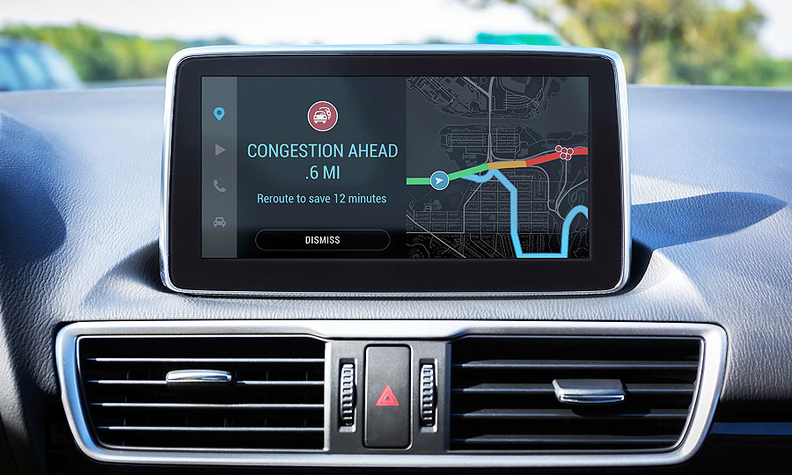 “We’re excited to see additional competition,” Marcus Keith, head of the company’s Audi Connect service, said in a statement. Inrix plans to sell the software platform under the OpenCar brand. Apps and software updates would be downloaded directly to a car, rather than mirrored from a smartphone, as is the case with CarPlay and Android Auto. Despite its name, the OpenCar software would not be open source in the traditional sense. Inrix would charge automakers a licensing fee instead of offering the software for free. Inrix would also manage content agreements with app developers, while automakers would get to decide which of these apps to allow in their cars. Under the deal, the 15 employees at OpenCar, including the company’s founder and CEO Jeff Payne, will join Inrix. Terms of the acquisition were not disclosed.